55013-SS is rated 5.0 out of 5 by 2. Rated 5 out of 5 by CU Carol from Great product. Very nice looking and functional too! Rated 5 out of 5 by Johnathan Doever from Amazing Durability Survived being used to disperse sulfuric acid for a suprisingly long amount of time. Would definitely use again. How does the spray turn on? &nbsp;I have arthritis and need easy on/off. 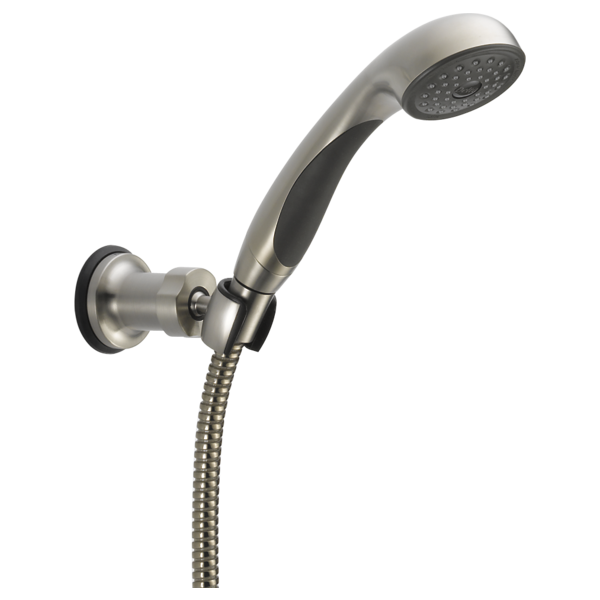 What is the difference between a wall mount and shower mount hand shower? wall mount brass or plastic? does this product ship with the updated brass wall mount or the older plastic wall mount? I can't find replacement washer to fit this product. Is the wall mount available seperately and what is the price?